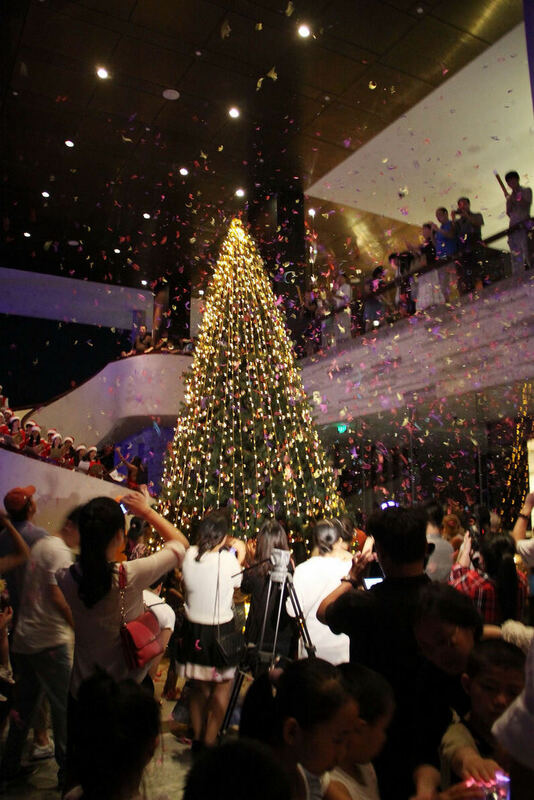 To kick off the special seasonal celebration of the hotel, InterContinental Sanya Resort held a Christmas lighting Ceremony on December 1st, 2012. Over 200 guests, from local authorities, media, travel agencies and hotel in-house are invited to this event. The children's choir from Canadian International School of Sanya performs the traditional Christmas Carols. Started with the traditional Christmas Carols performed by the children's choir from Canadian International School of Sanya, the ceremony was hosted by the Hotel General Manager, Mr. Geoffrey Ryan. The ceremonial event was made more meaningful as John & Maggie, the founder of Sanya Bright Connection received a RMB25, 000 Cash Check from Mr. Ryan. The Intercontinental Sanya Resort hand in the Bright Connection invites hotel guests and staffs to participate in the charity selling for showing their love and care to help children with Cerebral Palsy, Autism and other challenges in Sanya, as the essence of the Christmas spirits it’s all about love and giving. Donation to Sanya Bright Connection adds a sparkle to Christmas lights. Guests enjoyed cocktails and scrumptious appetizers prepared by the hotel's highly skilled culinary team, it was most excited for guests to watch that the largest Yule log cake carried by 8 chefs marched in. The Yule cake approximate total weight 169 kg, consisting of 60 Kg butter, 780 eggs 18 kg flour, 20 kg sugar and 11kg chocolate, etc. Guests watch the largest Yule log cake carried by 8 chefs march in. The Yule cake approximate total weight 169 kg, consisting of 60 Kg butter, 780 eggs 18 kg flour, 20 kg sugar and 11kg chocolate, etc. Starting from 1st December, 2012, a series of magical Christmas and New Year activities at the tropical island of InterContinental Sanya Resort life this season of merrymaking! Let us unwrap together the joys of the season found in our treasure chest filled with special Christmas events like the Festive Dinners on Christmas Eve and New Year’s Eve. At the December 31, 2012, come and be part of New Year Eve countdown party at our beach bar and Asian Village.